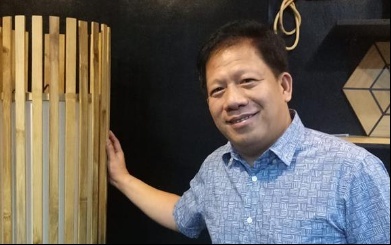 DAET, Camarines Norte (Bicol Standard) – The Sandiganbayan denied the Motion for Reconsideration filed by former Daet, Camarines Norte Mayor Tito Sarion, who was convicted by the Third Division for Malversation of Public Funds and violation of the Anti-Graft and Corrupt Practices Act in 2017. In a Resolution issued by the graft court dated November 8, 2018, it said that the Motion for Reconsideration to set aside the decision convicting Sarions of violations of Section 3, Paragraph e of Republic Act 3019 (Anti-Graft and Corrupt Practices Act) and Article 217 of the Revised Penal Code is denied for lack of merit. He was also found "guilty beyond reasonable doubt of Malversation of Public Funds or Property under Article 217 of the Revised Penal Code, and was accordingly sentenced to suffer an indeterminate penalty of imprisonment of two (2) years, four (4) months and one (1) day of prision correcional, as minimum, to six (6) years and one (1) day of prision mayor, as maximum; pay a fine in the amount of one million pesos (P1,000,000.00); and suffer the penalty of perpetual disqualification from holding public office." Sarion was ordered to imdemnify the Municipality of Daet the amount of One Million Pesos (P1,000,000.00) as actual damages, plus interest at the rate of 6% per annum to be reckoned from the date of finality of the Decision until its full satisfaction. This stemmed from his approval of the disbursement and disbursement voucher in the amount of P1,000,000.00 in favor of Markbilt Construction as partial payment for contract price escalation despite the absence of (a) Certificate of Availability of Funds; (b) the Government Procurement Policy Board's approval; (c) and the National Economic Development Authority (NEDA)'s determination as to the propriety of the price escalation. "Markbilt is not entitled to payment for contract price escalation, in view of the absence of a GPBB approval of the payment and the absence of a NEDA determination of extraordinary circumstances to justify contract price escalation," the Sandiganbayan earlier said. In his Facebook account, Sarion announced that he will appeal the decision to the Supreme Court.